E su audiocassetta argentata, per ora in sole centocinquanta copie, esce anche il nuovo avvincente capitolo Denseland, il terzo dopo Chunk (Mosz, 2009) e Like, Likes, Like (M=minimal, 2013): si intitola Disco Dictionary e lo produce la danese Arbitrary. Loro sono sempre Hannes Strobl, Hanno Leichtmann e David Moss, qui in splendida forma. Formed in 2008 by long time Berlin musician's bassist Hannes Strobl, percussionist Hanno Leichtmann and avant-garde vocalist David Moss, Denseland as a three headed ensemble jumps genres, timbres and times. Its sound exists in its own sealed universe - one spanned by sinister timbres of seduction, grooves of foreboding imbued with a sardonic, almost wicked humor. 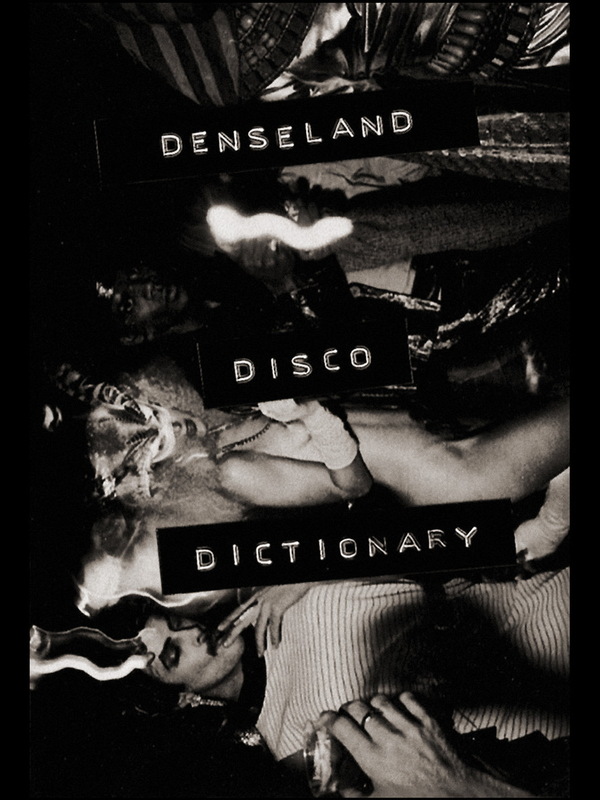 The new album Disco Dictionary straddles the borders between funk and post punk, experimental avant-garde and fractured down tempo techno, electronica and minimalist industrial. The tracks lure the listener in through an incessant, underlying, looping drive; a forwards moving groove and throbbing pulse that both pushes back and ensnares you simultaneously. Under its crystalline surface, Denseland’s music reveals contradictory undercurrents - unsettling noise, weird breaks, ominous drones, grinding distortion, disjointed electronic pulses, fractured beats, disfigured sounds. Pervading all of Denseland’s tracks is the omnipresence of Moss's virtuosic, Sprechgesang voice - cutting through, scratching, crawling over Strobl and Leichtmann’s rhythmical textures, continually evoking images of a disjointed perceiving body, gradually disappearing like in a Samuel Beckett play. Denseland’s music turns the listener an unsettled sound universe conceived as strange landscape and magnetic atmosphere - music for a disturbed world.